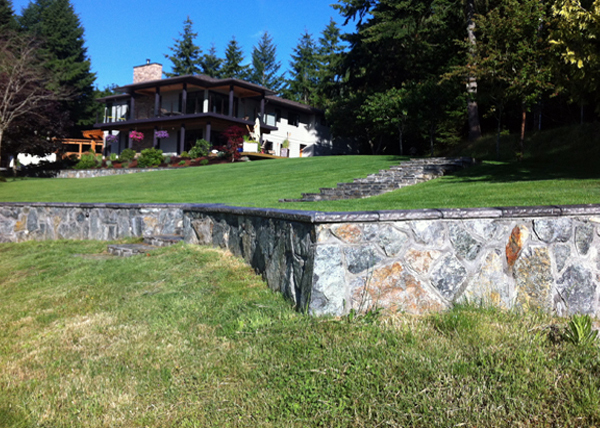 All Out Contracting Retaining Walls and Driveways Victoria Vancouver Island, Gulf Islands. 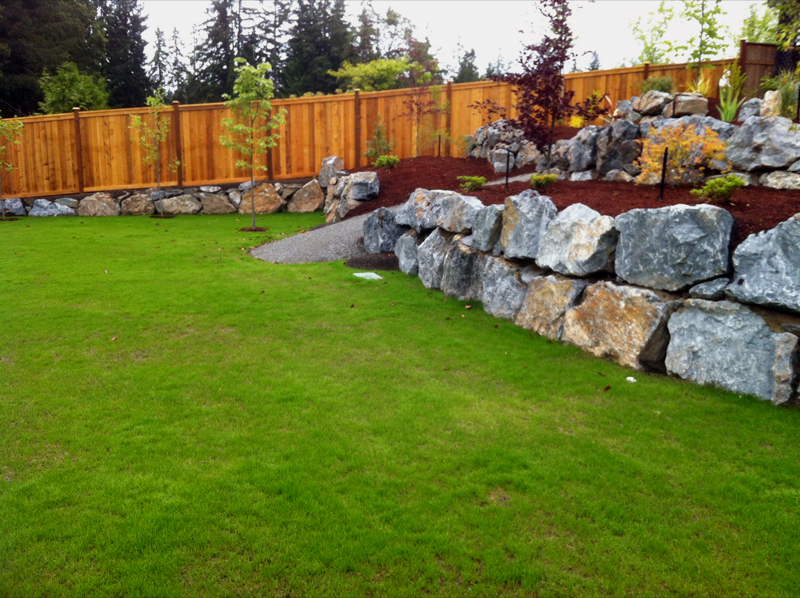 From terracing your landscape to keeping your neighbours yard out of yours, or maybe you need a retaining wall for anything else. 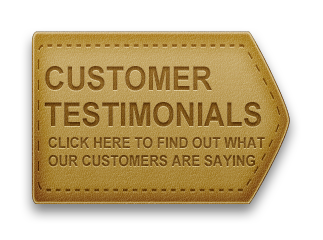 We provide Wood, Concrete, Blasted Rock or Boulder Retaining Walls. For any of your Retaining Wall construction needs... big or small give All Out Contracting a call! Biggest Boulder Wall of the Year. Professionalism at its finest! After building over 1000 Retaining Walls of various types, this client felt very confident when hiring us to build this Boulder Wall. 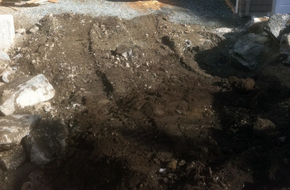 The prime concern for this client was that he wanted to expand his parking area. Using 18 -24" boulders, (bigger if nessesary), we built this Retaining Wall to create this beautful lower sitting area. These clients wanted privacy from the adjacent golf course and still be close to the kitchen. This lower terrace was perfect. 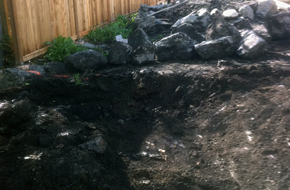 The weight of the Boulders or Rocks makes them a highly effective retaining wall. 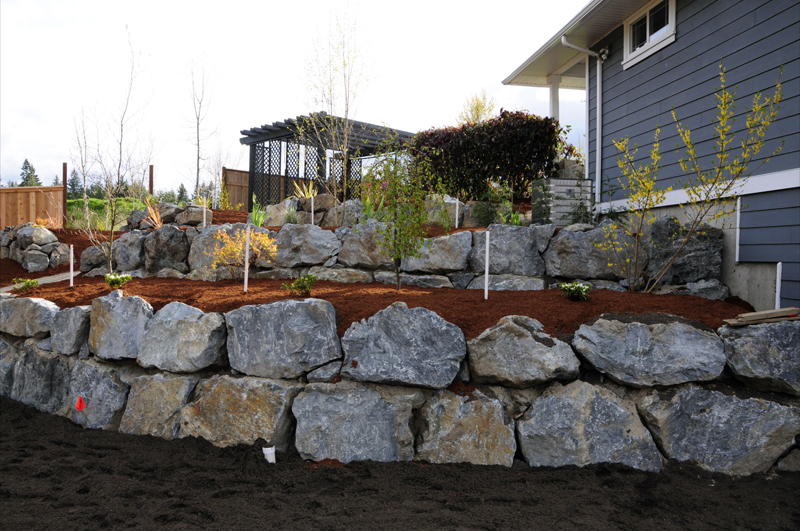 When built with each row leaning in, they will settle in with the help of the weather and gravity, to create a Boulder or Rock Retaining Wall that will be an attractive and functional part of your landscaping.